Kolkata Metro Railway completes its glorious 25-years journey at Kolkata in Bengal in the year 2009. Kolkatan should be proud of Metro Railway service of Kolkata. Kolkata Metro is India's first underground Metro Railway. 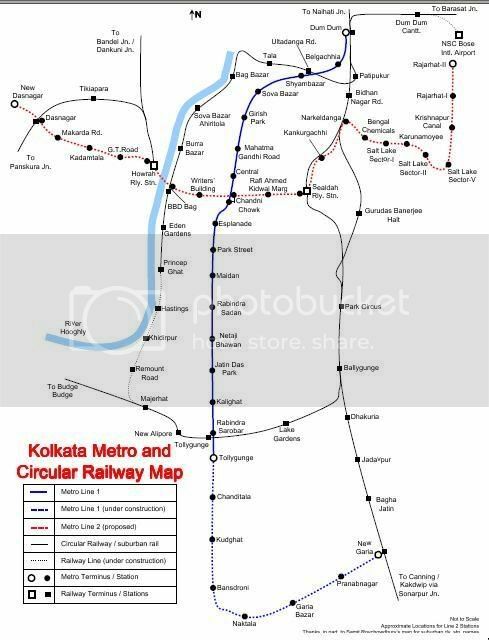 Kolkata Metro Railway Phase-I was constructed in the year 1984 between Esplanade, the heart of Kolkata, and Bhowanipur (known as Netaji Bhavan). Kolkata Metro Railway later extends in the year 1995 from Dumdum (near Netaji Subhash Chandra Bose Airpot, Kolkata) to Tollygunje (Bengal Film centre, Tollywood place). This is all about kolkata metro and it's routes, Station Names new and old. The Kolkata Metro is the underground rail network in Kolkata and it is the India's first underground railway network connecting the north and South kolkata. Kolkata Metro is one of the huge Metro Railway Network in India. Many peoples are traveling by these Metro rails regularly. Here you can get the Online Information of Kolkata Metro. Read the full article to more about the Kolkata Metro.